Deployment using a virtual machine. Obviously, it’s exactly the same OS, and the way i did it is NOT clean at all: i just copy/paste all the libraries in the bin folder. Hopefully, linux & ogre are kind enough to run that smoothly. 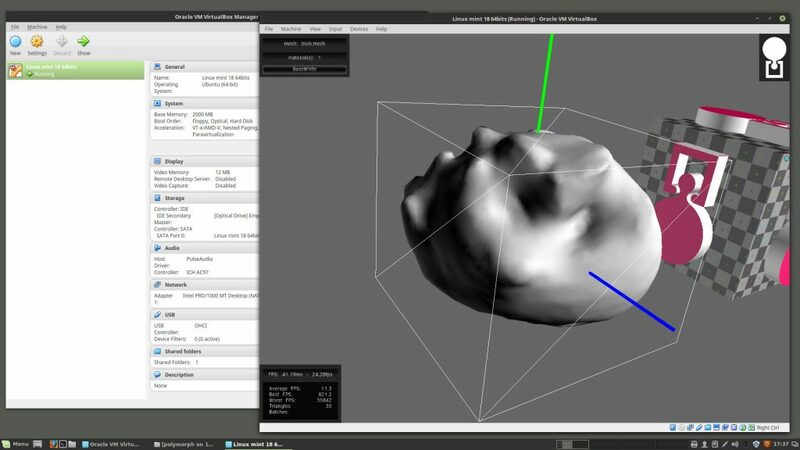 The application is a utils to test models exported from blender. The installation of an os in virtualbox required a adjustement in the BIOS. See How to fix verr_vmx_msr_all_vmx_disabled to install Ubuntu on VirtualBox for details.